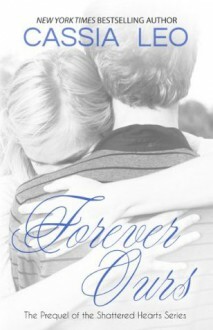 Forever Ours is the highly anticipated prequel to the New York Times and USA Today bestselling Shattered Hearts Series.Sometimes, it takes more than love to mend a shattered heart.After eight years of being tossed around from one home to another, never forming any meaningful friendships or bonds with her foster families, Claire's caseworker gives her an ultimatum: Behave or your next home will be a halfway house.When fifteen-year-old Claire arrives at the home of Jackie Knight and meets Jackie's fifteen-year-old son, tattooed guitarist Chris, she fears she'll be seeing the inside of that halfway house soon. But Chris isn't like any other guy Claire has ever encountered and he soon gains her trust through his music and unwavering patience.Claire has finally found her forever home and she and Chris soon find themselves falling in love.But Chris's dreams of musical stardom and Claire's need for a stable home soon put their love in jeopardy. Chris struggles deeply with his plans for the future, entirely reluctant to leave Claire behind; until Claire does something that may break their love -- and the only home she's comes to know -- forever.